The history so far... The beginning Ravage Machinery was born in autumn 2004, when Rauli Alaruikka formed the band Replicators, which played only cover material from artists like Godsmack, Drowning Pool, Slipknot etc. The original line-up of the initial band was, and still partially is: Jukka Haarala- Vocals Rauli Alaruikka - Bass Simo Pasma - Guitar Kalle Hotti - Guitar Mikko Alasuutari - Drums With this line-up, Replicators had one gig after which Ville Kantola took over as the new drummer, with whom Replicators had a couple of gigs more at Rovaniemi. Eventually, in fall 2005, the Replicators turned into Ravage Machinery, which aimed to create its own material instead. The Machine is born The first performance of Ravage Machinery was in January 2006 at Rovaniemi, in the venue Pub Kellari. Ravage Machinery was warming up the bands Maple Cross and Diamanthia. The rest of the year had a few drastic changes, and therefore Ravage Machinery moved to a new training facility, and decided to throw away all current songs in order to start anew. In March 2007, Ravage Machinery was warming up Maple Cross again in two consecutive shows, after which Ravage Machinery got more recognition in its home city, Rovaniemi. Ravage Machinery released its first demo in 2007, which is the only release that contains the very original Ravage Machinery line-up. In 2008, Ville Kantola decided to quit the band because of the compulsory Finnish military service. Shortly after, Joonas Rissanen (ex-Forbituary, ex-Primal Hatred, Maggotworks, Suicide Symbiosis, Kruor) replaced him as the drummer. The rest of the year went on by performing around Rovaniemi and Oulu, entering a couple of band contests and earning a final slot in both of them. Following years In July 2009, Ravage Machinery released its second demo, "Reigning Disease", which generally got better reviews than the previous release. Before the release of the new demo, Ravage Machinery had a few gigs, warming up for example Rotten Sound. After the summer 2009, Joonas Rissanen left the band, and was replaced by Jani Suopajärvi (Sethery, Absessi, Sub-Humanus). In autumn of the same year, Ravage Machinery released its first music video of the title track of the demo "Reigning Disease". In 2010, the band had few but important performances, warming up acts like Profane Omen and Zero Nine. In summer 2010, Ravage Machinery got its greatest achievement by becoming part of the Nummirock roster, which was awarded to the band after entering the Nummirock Demosetä-band contest. Tides of change In the end of the year 2010, Kalle Hotti announced his departure from the band due to moving to another city. Soon afterwards, Tuomas Valtanen (ex-Frostburn) was chosen as the new guitarist, and with the line-up yet again changed, the band started fiercely to write new material for the upcoming EP and entered the studio in March 2011. In July 2011, "The Dystopian Tide" -EP was released, which presented a darker and heavier Ravage Machinery than before. 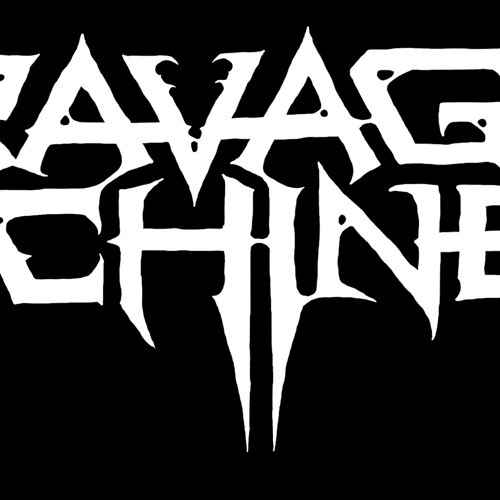 Later in the same year, Ravage Machinery performed its first foreign performance as the first foreign artist in the Swedish "Nordic Rage" metal festival. The year 2012 passed pretty much along numerous gigs, as well as writing new material. In spring 2012, Ravage Machinery produced its second music video of the "Thus I Serve", the opening track of "The Dystopian Tide" EP. After the new music video, the band was faced with a new line-up change. Jukka Haarala, due to personal reasons, decided to leave Ravage Machinery to pursuit other challenges in the future. Having three events booked already for the early autumn, Ravage Machinery was forced to form a temporary line-up to perform at the gigs. Rauli Alaruikka switched from the bass to vocals, and Samuli Visuri was selected as the replacement bassist. Eventually, the new temporary line-up seemed to work well around the edges, so it was selected as the new official line-up as well. The present During the year 2013, Ravage Machinery largely concentrated on writing the new material needed for the debut album. Even though busy with all the song-writing, Ravage Machinery had its first Norwegian performance at the Midnattsrocken 2013 music festival, and performed in the Jalometalli Metal Festival 2013 as well. By the end of June, the band came up with 9 new songs ready to be recorded as their debut album. The album was recorded during July and August 2013, and it is currently in the mixing phase. In October 2013, the band was faced with another line-up change. Due to lack of time and other personal reasons, Jani Suopajärvi was replaced by Rauli Juopperi in the drums. With its first debut album coming out in late 2013, Ravage Machinery has set its course for the future, writing still new material and gigging actively.